My name is Steve Davis and I work at the University of North Carolina at Chapel Hill (UNC), where I am associate director of the Research Laboratories of Archaeology (RLA) and adjunct professor of archaeology and anthropology. As part of my duties at the RLA, I manage the North Carolina Archaeological Collection, an archive of more than 8 million artifacts and associated records resulting from over 80 years of field research and numerous donations. While the collection contains objects from around the world, most are associated with the long history of Indian peoples in North Carolina and the American South. I regularly teach an archaeological field school for undergraduate students at sites in North Carolina and South Carolina, and I also teach workshops on structure-from-motion photogrammetry to students and faculty at UNC. I am trained as an anthropological archaeologist and developed a keen interest in computer applications in archaeology, particularly as they relate to spatial analysis and mapping, while an undergraduate at UNC in the early 1970s. I received my MA in archaeology from the University of Calgary (1976) and Ph.D. in anthropology from the University of Tennessee (1986). I have been employed as an archaeologist at UNC, my alma mater, since 1983. My research over the past 35 years has focused on the early history of Native Americans in the American South and particularly on the impact of European colonization on Native peoples in Virginia and the Carolinas during the seventeenth, eighteenth, and early nineteenth centuries. Throughout my career, both as a student and professional, I have sought new ways to apply emerging technology to archaeological problems. I have been particularly interested in archaeological visualization and improving techniques for documenting and analyzing both archaeological contexts and objects. My introduction to 3D modeling occurred in the mid-2000s, when two colleagues and I visited Dr. Anselmo Lastra in UNC’s Department of Computer Science, where several faculty members were working with virtual reality. Anselmo introduced us to Dr. Marc Pollefeys, who was developing some of the basic pattern-recognition tools that make computer-based, photogrammetric 3D modeling possible. Marc described how it would soon be possible to create detailed computer models of real-world objects, which at the time was a concept I could appreciate but barely begin to understand. About 10 years later I was reintroduced to 3D modeling when our director, Dr. Vin Steponaitis, arranged to have Dr. Rachel Opitz, a former UNC undergraduate and then executive director of the University of Arkansas’s Center for Advanced Spatial Technologies, teach a workshop at UNC on structure-from-motion photogrammetry using Agisoft Photoscan. At the time, I was especially interested in seeing how the technique might be applied to documenting excavated archaeological contexts. Rachel’s workshop mostly dealt with creating 3D models of objects; but, it was immediately clear to me that the technique could also be used productively in the field. During our summer 2015 archaeological field school at the Wall site, a sixteenth-century Indian village in central North Carolina, I experimented with structure-from-motion photogrammetry and was immediately hooked. Not only was I able to create detailed, georeferenced models of all our excavations; I also discovered I could easily extract dense spatial data from the models and export those data for use with other mapping and modeling software. Since 2015, all my field mapping has relied extensively on photogrammetry and Photoscan, and I have presented papers at both regional and international archaeological conferences encouraging others to incorporate photogrammetry into their normal workflow for documenting archaeological excavations. During the 2015-2016 academic year, I also began experimenting with making 3D models of artifacts, including chipped-stone spear points, pottery vessels, clay smoking pipes, and other ancient objects. The immediate purpose was to create a few models for a new website titled “Ancient North Carolinians: A Virtual Museum of North Carolina Archaeology.” Developed by staff and students in the RLA under the guidance of our then-director, Dr. Vin Steponaitis, this website would allow us to provide cultural heritage information from our research and collections to the general public. Initially, we saw the 3D models simply as content that would grab a viewer’s attention in a way not possible from photos alone. Once I figured out how to properly photograph and make models of artifacts, I quickly discovered that several of our undergraduate lab assistants also were interested in learning the process. Two of my students — Abby Gancz and Chris LaMack — were particularly interested and over the past three years have become experts, producing a majority of the more than 700 models that we now have posted on Sketchfab. Whereas early on I spent a significant portion of my day photographing artifacts and building models with Photoscan, now I mostly search our collections for artifacts to model and rely on Abby, Chris, and other students we have trained to create the models. Our initial goal of making a few 3D models for our new website quickly morphed into one of creating representative examples of all major artifact categories (for example, different historical types of spear points and pots, other chipped and ground stone tools, pipes, etc.). Now, we have begun making models of artifacts in our type collections — those artifacts originally used to define particular artifact styles and which are now referenced by other archaeologists when classifying newly discovered artifacts. Whereas researchers previously have had to rely on published photographs of important type specimens or actually visit the North Carolina Archaeological Collection to see those specimens, now they can view and interact with the artifacts in 3D. My own experience tells me that viewing one of our 3D models on Sketchfab is in many ways equivalent to seeing the artifact in person, and I have been constantly surprised at the detail I can see in the models but never noticed on the actual objects. Clearly, the models are far superior to published photographs. 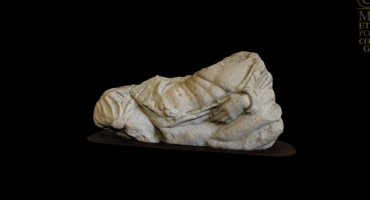 Our ultimate goal is to build a comprehensive catalog of artifact models from our collections that can be used by outside researchers, members of descendant communities, and the general public for any number of purposes, including printing scale models of artifacts for use in educational settings. I have alluded above to the many advantages of 3D content, especially in archaeology, which is heavily reliant on material culture and has a strong visual component. Being able to view a detailed, accurate, photorealistic 3D model on your computer screen truly is the next best thing to actually holding an artifact in your hand or standing beside an archaeological excavation. 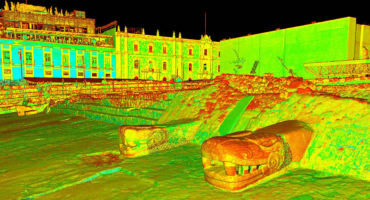 Importantly, the model can be viewed by anyone since physical access is no longer an issue, and 3D documentation helps ensure that many of the physical attributes of an object or archaeological feature will be preserved, even if the object or feature is destroyed. We have two studios for photographing artifacts. Our cameras are a Nikon D5100 DSLR and a Nikon D5000 DSLR with 18-55mm zoom lenses and a 60mm micro lens. We mostly use the latter except for large objects. The first studio uses a photo copy stand with halogen photo floods, where the camera’s position is fixed and points straight down. It is used mostly for small, lenticular objects such as thin spear points where it is difficult to model the entire object at once. We photograph each side separately, moving and tilting the object to obtain overlapping photos from different perspectives. After taking 10-15 photos of each side, the background in each photo is masked out and a dense point cloud is created for each chunk in Photoscan. We manually identify match points along the edge of each chunk and then use those points to align and merge the chunks. Afterward, we build the mesh and apply the texture. The hardest part, obviously, is properly locating the match points on each chunk so they can be properly aligned, and this takes some practice. UNC archaeology student Chris LaMack is taking 3D model photographs of a chipped-stone spear point using a photo copy stand. Multiple photos are taken as the object is tilted (using small props) in different directions. The raised glass eliminates harsh shadows at the edge of the object, which facilitates later masking in Photoscan. The second studio has a tripod-mounted camera, a turntable (purchased at a kitchen store), a neutral gray backdrop, and LED lights in soft boxes to reduce shadows. Artifacts are placed on a small pedestal at the center of the turntable. Three passes of 12-15 photos are taken as the object is rotated 360 degrees (i.e., every 24-30 degrees) with the camera positioned horizontal, then elevated and pointed slightly down, and finally elevated more and pointed down at a steeper angle. Then, the object is flipped over and the process is repeated. We often use a block of ethafoam with holes cut in it to hold the artifact while it is being photographed. Again, the background is masked out in all photos; however, with this set-up it is possible to build the entire model in Photoscan as a single chunk. Chris is using a camera mounted on a tripod to photograph an ancient pot as it is rotated on a turntable. We have found this method to be the easiest for photographing archaeological objects. When photographing in either studio, it is important to maintain sufficient depth of field. If some parts of the artifact are blurred in the photo, those parts need to be masked out before building the model. Creating models of archaeological contexts and excavations works a bit differently. Most of the Native American archaeological sites we investigate consist of buried zones of soil and refuse deposits, pits dug for a particular purpose by the site’s inhabitants and later filled in with refuse, and posthole stains that provide evidence of where post-in-ground structures once stood. 3D modeling allows us to document those contexts, as well as the excavations that revealed them, in great detail, whereas earlier field procedures usually relied on a few photographs and measured line drawings. On later historic sites with surviving elements of stone or brick architecture, photogrammetry allows us to fully document the three-dimensionality of those contexts. Our procedure for modeling archaeological contexts varies depending upon the situation, but usually works in the following manner. First, we carefully clean the excavated surface with sharpened mason’s trowels. Next, we make sure that the area to be modeled has at least three visible reference points with known xy coordinates and elevation. These reference the site excavation grid and are determined using a total station (a high-precision surveying instrument). Geo-referencing in this manner is vital to placing the model properly and accurately within the excavation. Before taking our photographs, we wait for uniform cloud cover to eliminate harsh shadows from the sun or erect a tent or sunshade to produce uniform lighting. To photograph an excavation we typically walk around the perimeter, taking a photo with a handheld digital SLR camera about every meter. We then make a second pass, photographing from a step ladder at 3-4 meters above the excavation. We may take additional photos where needed to provide adequate coverage. Depending on the size of the excavation and complexity of the context, we will take between 40 and 150 photos. My own experience suggests that archaeological contexts are particularly easy to model, as long as you have proper lighting, sufficient depth of field, and adequate photographic coverage. In our own work, we use consumer-grade, digital SLR cameras and other equipment (copy stands, tripods, lights, etc.) that are moderately priced, and we use Agisoft Photoscan Pro which also is moderately priced if you qualify for an educational discount. However, someone wishing to learn structure-from-motion photogrammetry from scratch can do so with essentially no up-front cost as long as they already have a smartphone. I have made several good-quality 3D models with Photoscan using photos that I took with my iPhone 6. Just be sure your photos are in focus and don’t suffer from “camera shake.” For the beginner, Agisoft offers a 30-day free trial for Photoscan Pro with no strings attached. You can later buy that version, purchase the much cheaper standard version, or simply let the free trial lapse. If you qualify for their educational discount, the standard version is really inexpensive. Finally, the Photoscan user manual gives really great tips and instructions for making models, and you also can find numerous excellent tutorials on Youtube. Structure-from-motion photogrammetry is quickly becoming an essential tool for archaeologists wishing to document in a comprehensive manner both archaeological contexts and artifacts. And, it is being used increasingly as a means for extracting morphometric data about those entities for analytical purposes. 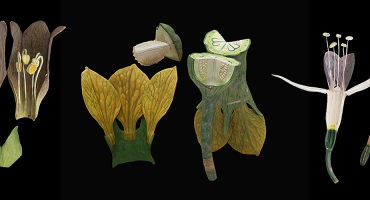 As we begin to deploy our 3D models of artifacts via Sketchfab and our website (which also relies on Sketchfab), we are gratified to find that there is great public interest in being able to view, manipulate, and even print those models. 3D modeling of artifacts and contexts clearly is one of the most exciting technological advances I have witnessed during my more than 40 years as a professional archaeologist, particularly as it relates to the broadscale sharing of archaeological information and the potential use in public education. One of the first models I viewed on Sketchfab was Dr. Hugo Anderson-Whymark’s “Ness of Brodgar, Str 14, 2014.” Since then Dr. Anderson-Whymark has posted several additional models of this important archaeological site on Orkney, Scotland. These models clearly demonstrate the potential of structure-from-motion photogrammetry for documenting and presenting the complexity of archaeologically revealed structures. And, they are what firmly convinced me of photogrammetry’s importance to the future of archaeology.